Time management is a topic we are all too familiar with. Delegate! Prioritize! Be more efficient! 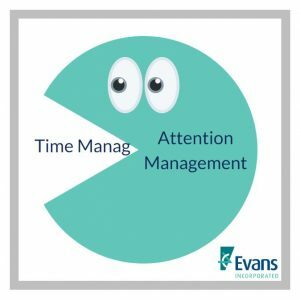 But you’re still having trouble getting everything done… We have a new solution, and it’s a hot topic climbing up the ladder of productivity: attention management! While similar to time management, attention management changes the focus of your time to how you are engaging in your work instead of focusing on what you’re doing with your time. For instance, did you know that multi-tasking actually hurts your productivity because it takes your brain a significant amount of effort to switch between tasks rapidly? Reduce distractions so you can focus – While it’s tempting to catch up on emails while watching tv, it can reduce your ability to really zone in and be productive. Pay attention to your energy throughout the day – your motivation to do different tasks changes throughout the day. Listen to your body and work on tasks you like or work on easy tasks during times when you know your energy will be low. Save the tough tasks for when you’re feeling rested and motivated. Read the research! Focus on one thing at a time – like we mentioned above, multi-tasking is detrimental to productivity. We know it’s so easy to just click into an email that came in while you’re working on a deliverable, but we promise 99% of the time, it can wait! Best practice is to work on something for at least 20 minutes before switching to another task. Be intentional about your time – none of us want to let anyone down and say, “I’m sorry, but I can’t,” but if you say yes to everything, you won’t be able to give 100% to everything! Give your time a value and be intentional! Read more! Stay connected to the why – Feeling unmotivated? Find a reason that intrinsically motivates you. What about this task makes it important? Who does it affect? How will it makes things better? Intrinsic motivation will get a finished product much faster than extrinsic motivation. Strengthen your brain’s ability to focus – Of course external factors such as what you work on, distractions, and when you work makes a big difference in your ability to focus, but remember: your brain is a muscle! If you struggle to stay focused, you can improve your ability to focus by practicing! Yoga and meditation are good (and free!) options. If you’re super into science and have a little more money to spend, check out neuro-feedback to help “teach” your brain how to focus. The first step to make any change is awareness and acknowledgment. We challenge you to pick one of the tips above and identify how you can better managing your attention in that regard. If you’re feeling ambitious, tackle two or three tips, but keep in mind that change is not a event but a process, so it will take time to maximize your attention management skills! Whenever I’m feeling overwhelmed with deadlines and competing priorities, I remember that my current workload is nothing compared to what I had to handle a few years back. In the spring of 2015, I was working full time, getting my MBA at night, and training for a half marathon. I barely had time to eat and sleep, but somehow, I got through it. I’m sure lots of people reading this are dealing with competing priorities: kids, spouses, friends, maybe sick parents or health problems. One way I’ve found to manage stressful times is to focus on attention management and not necessarily time management, which can easily fall apart as priorities shift (new deadline, last-minute meeting, child is sick at school, etc.). Scientifically, human brains are not designed for multitasking. Our attention span is only capable of tackling one task at a time. To work efficiently, especially when you’re facing a deadline, I find it best to first tackle the tasks you least want to do. Once those are out of the way, you can focus your attention on the tasks you’d prefer to work on without the nagging reminder that you have those dreaded items waiting on your to-do list. You are more likely to spend time on tasks you enjoy doing, and so it should be. If you force yourself to accomplish the undesirable tasks first, you’ll be motivated to concentrate and work productively so you can move on to the work you’d rather be doing. As long as you’re not missing deadlines, I prefer to order my to-do list from least to most enjoyable. As you cross those items off your list, hopefully, some of the stress will lift as well! Being authentic and true to yourself has many benefits, including confidence, connection, reduced stress, and increased health. However, it’s no secret that authenticity can be elusive, and it can be challenging to accomplish a true and consistent sense of self. This Thrive is focused on giving you foundational tips for being your “you-est” you. Often we are put in situations where we feel we need to be or act like someone else. We feel pressures both externally and internally that tell us we should be something different. The list goes on and on, and we’ve all experienced “the shoulds.” Well we’re here to help you embrace who you are and be true to yourself. 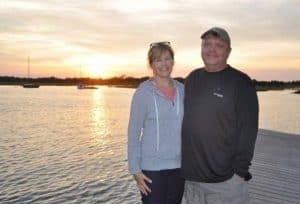 They had connection as a result of authenticity. Brené Brown speaks to vulnerability and being authentic in her TED Talk – one of the most popular talks of all time. Be self-aware. A huge part of being authentic is to be aware of yourself. What are you feeling? Why are you feeling that way? What motivates you? How do you want to grow? What are you good at? What do you admire about others? Asking these questions can feel uncomfortable and “mushy,” but we promise that’s the first step to embracing your whole self. Embrace your imperfections. Acknowledge your imperfections, understand that they make you who you are, and embrace them. Does that mean you shouldn’t continue to grow and develop? Does this mean you should have the “I’m me. Take it or leave it.” mentality? Definitely not! Just be sure you’re not compromising your values, and make sure you’re growing and developing how YOU want to, and not how others want you to. Know your values. At the core of who we are is what we believe and what we value. By defining and understanding your values, you can gut-check if something is affecting who you are. If a situation is uncomfortable but doesn’t compromise your values, give it a shot! If it does, say no, thanks. Stick to them, and you’ll find a deeper sense of self in everything you do. Discomfort leads to growth. Situations that make you uncomfortable are great situations for helping you understand yourself. This overlaps with understanding your emotions, but uncomfortable situations are also some of the biggest opportunities for growth. Putting yourself out there in uncomfortable situations (that still align with your values) feels vulnerable, but vulnerability is normal! And as Brené Brown mentions, vulnerability leads to connection – connection with what you do and those around you. Ditch those who want to change you. Surround yourself with people who accept and celebrate who you are. If they are trying to change you, it should be in a supportive way where they’re helping you grow in the ways that you want to. Create and maintain relationships that make you a better you. There’s a theme here you may have noticed: being authentic can be uncomfortable! You have to put yourself out there to be judged and not always kindly, but by being vulnerable, you’ll build yourself a network of family, friends, work, values, community… the list goes on… where you can be your “you-est” you. This is the key to true and consistent authenticity! As mentioned above, understanding your values can help guide you to situations that help you grow in ways that are true to yourself. Your “homework” this Thrive is to define your values. You finish a task, and you’re really proud. Why? Is it some of your best work? Did it exceed your boss’s or client’s expectations? Did you finish it before the deadline? Did you finish it in record time? Did you work on it with others? Did you finish it all by yourself? Did it challenge you? Did you learn a lot from it? All of these questions can lead to a different value which identifies why you feel proud of the completed task. If you can understand the why’s of your emotions, you’ll find your values and get a better understanding of yourself and what drives you. In the competitive DC area, there’s a lot of “faking it ’til you make it.” Unfortunately, I don’t have much of a poker face. Because I’m a poor card player, I have always had to be comfortable in my skin and honest with myself. I have also failed a lot: in school, in jobs, in relationships, in parenting (and I’m only 14 months in!). Evolving from failures has helped me grow into a more authentic self. One of the greatest compliments I have ever received was from a dear friend who told me, “I admire your resiliency. If you fall off the horse, you get right back up.” Leveraging vulnerable moments to learn from mistakes is critical to being authentic. Left: Sarah sporting her middle school awesomeness. Right: Sarah acing a professional headshot. Motto: Lean into your awkwardness, and grow from it. I challenge everyone to try to say, “I don’t know!” more often. See if this simple phrase changes your perspective, your personal and working relationships, and your sense of self in being a truer you! In many ways, a successful career is a game of stamina and patience, even when working at a job you love. We’re only human and will burn out in a flame of glory if we don’t learn to pace ourselves. Burnout is found to cause loss of sleep, increased anxiety, frequent illness and constant fatigue. Hard work and long hours are only worth it if you can enjoy yourself throughout the process. 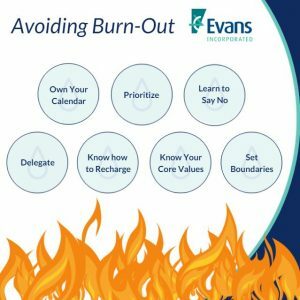 Read more in this Thrive in Five to learn some tips and tricks to avoid burnout this year! Own your calendar – An empty space on your calendar does not (always) mean that you must accept that 30 meeting from a co-worker when you really needed those minutes to prepare for your next big meeting. Sometimes it helps to actually block out time on your calendar to do specific tasks. Learn to say no – If you are someone who feels the need to please others and put their needs before your own, it can be a very daunting thought to assert yourself to say no. Once you start learning to say no, you will reduce the stress and the likelihood of burnout. Hint: Click the orange tip to learn more about the benefits of saying no! Know how to recharge, and quickly – Working long hours without taking an effective break will always lead to burnout. Experiment to figure out what works best – meditation, a walk around the block, a quick phone call with mom – and spend your free time on those supercharging activities. Know your core values – If you do this, you’ll be able to remind yourself of what’s important to address and what’s trivial. Burnout can creep up on the best of us. If you’re reading this Thrive, it’s a good guess that you might be already feeling its effects and want to know how you can counter it before you burn out in that flame of glory mentioned above. That being said, our “Apply the Five” this time is to pick at least 1 or 2 of the tips above to work on this year to help feed that flame of glory so it burns all year without burning you! Growing up, I was very close with my grandmother, and she would often tell me “Denise, you should always treat others as you wish they would treat you”. I truly believe in the “Golden Rule,” so I always live by it, but how does it prevent burn out? “Me Time” – time away from everyone, just for myself. This could be watching “mindless TV,” listening to music, or sitting outside with a glass of wine. Exercise – bike riding, working out at the gym, and jogging are my staples. Time with my best friend, my daughter Laura. Second – I’m an organized person. For me, the feeling of being overwhelmed comes from not having a good sense of everything that needs to get done or how I’m going to accomplish it. Writing it all down eases that stress and makes me realize that everything is manageable. 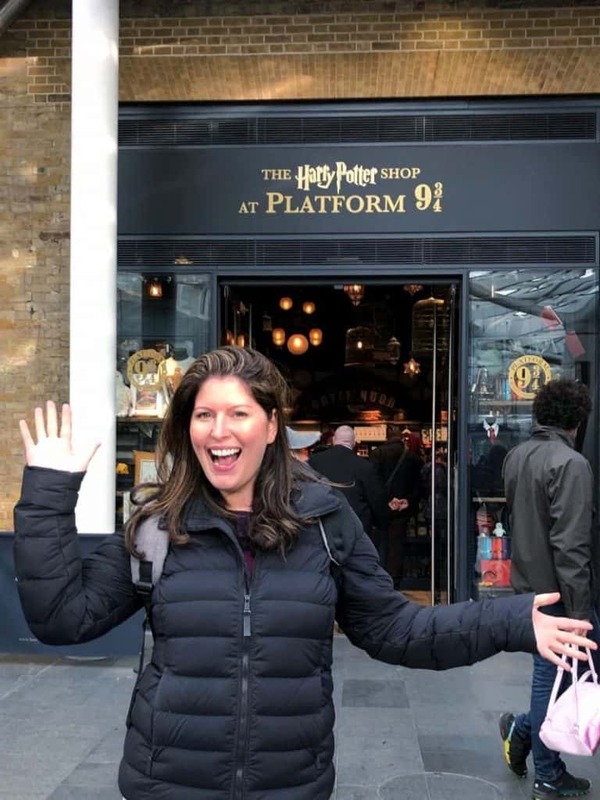 Third – It gives me joy to chat with and learn about a person – not just about their work, but about their personal lives, families, and yes, their favorite college football team! I am a huge Kansas State Wildcats fan – EMAW! So, if you see me and we haven’t met yet, introduce yourself! Lastly – I try to remember that happiness is a state of mind that you can absolutely choose. It’s not always easy, but I can always find the positive, and I’d much rather work to find the positive than dwell on the negative! So, treat yourself (and don’t feel guilty when you do), try to find the positive, and be happy. It’s infectious! Happy New Year! Our guess is that you had some time over the holidays to hang out with friends or family, or you found some sacred time to yourself to catch up on your favorite shows. But our big question is: Did you laugh? Think about the last time you had a really good belly-laugh. What was it about? How did you feel afterwards? Is it making you smile now? How does it make you feel just thinking about it? Chances are high that you probably felt pretty darn good after a healthy laugh, and you probably even feel a little more relaxed just re-living the scenario in your head. Why is that? Are there any measurable benefits to laughing? 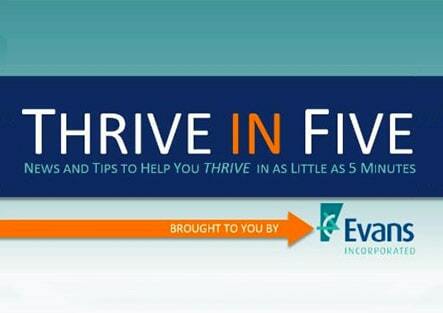 If we’ve sparked your interest, read on to learn more in this Thrive in Five! While we think it’s safe to say that laughter is a feel good (unless you’re sore from doing a core workout the day before), we did some digging to find out why. Laughter releases endorphins, dopamine and oxytocin which relieve stress and anxiety. Laughter also decreases adrenaline and cortisol – stress hormones. Laughter increases our heart rate and thus our energy levels, allowing us to focus more easily. Laughter, like remaining positive, releases neuropeptides which help fight stress and other illnesses. Another fun fact about laughter is that even if you fake it, your body responds to it as if it’s real. AND, if you fake it long enough, it most likely will turn into real laughter! So… if you’re having a rough time or feeling stressed, find a safe space where you can laugh it out! Maybe just put headphones in or something so people don’t think you’re nuts, or invite them to join you! This is a fun Thrive, so you get “fun” homework! For this Thrive, we challenge you to find 30 minutes every day to laugh (or at least smile). it’s up to you! Just laugh and reap the benefits! 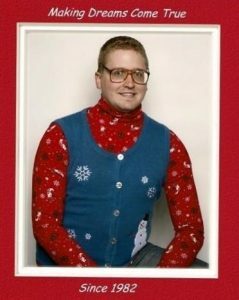 Jake sporting his holiday attire circa 2015 for a prank picture for his grandma – she didn’t find it funny, but hopefully you will! I’m definitely one of those guys that finds humor in just about everything. There’s something so incredibly rewarding when you can get a friend or coworker to completely lose it and breakdown laughing… even better when you get one of those little snorts. No matter your style, laughter is such a powerful way to connect with people; we can’t help but want to be around those who make us laugh. 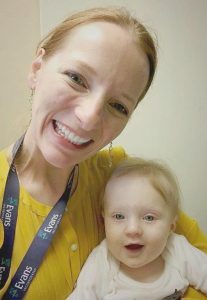 Too often we get so caught up with the back-to-back (to back) meetings and looming deadlines that we forget to take the time to give ourselves, and those around us, a little chuckle. Don’t be afraid to take a few seconds to include that amusing anecdote in the team status email or stick around after the staff meeting and partake in some witty banter. So go ahead… holster those finger guns, spice up those email chains, and it could be you that makes someone’s day a little bit brighter. We’ve all heard that exercise increases productivity, but how much exercise are we talking about? Because we all know time is a factor! Well… Good news! It turns out less is more when it comes to working out. No need to have those grueling workouts to get the boost you’re looking for! Read more in this Thrive in Five to learn the pros and cons to exercising during the work day! What you might be surprised to learn is that more is not always better when it comes to exercise. If your goal is to sleep better or combat insomnia, then vigorous exercise is great! However, if your goal is to increase your energy and mood, then vigorous exercise can have the opposite effect. Productivityist.com mentions a couple studies that support this statement. One showed that low-intensity exercise reduced feelings of being tired more than high-intensity exercise. They mention another study as well that found that high-intensity exercise (cycling, in this case) actually reduced the person’s attention, memory and problem-solving abilities immediately after exercise, and these effects continued for more than 20 minutes after exercise was stopped. If you have a lot to get done, don’t do a really intense work out before or in the middle of your workday – it will actually wipe you out. Low-intensity exercise is best if you’re looking for a pick-me-up from the after-lunch coma routine – try walking or yoga! No surprises here… your “homework” is to exercise! We’re not going to ask that you workout every day for 30 minutes, even though that’s what is recommended by most physicians. Instead, all we ask is that you make a conscious effort to increase your exercise when possible. Park in the spaces furthest from your destination. Step in place during commercials. Walk to dinner and back if possible. Walk for 5 minutes every hour. Take the long way to the office bathroom. Walk the dog instead of just letting him or her out to use the bathroom. 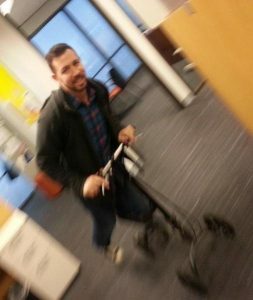 Get up and walk around during phone calls. Even Achilles surgery doesn’t keep Ryan from getting “the zoomies”! “I need you to live until you’re 90”. My wife seems to speak these words nearly every week. But in today’s world full of stress and numerous vices, how can someone make such a request? Sure, if I were to eat and drink the way nutritionists recommend, and couple that with a strict workout routine, I would no doubt be looking like a fitness model. But I’d also be broke, bored, and missing out on so many of the wonderful things this world has to offer. I enjoy food. I enjoy drinks. I enjoy stuffing my face at midnight while binge watching Netflix and drinking eggnog that clocks in around 800 calories per glass. So how does one stay (relatively) fit while also enjoying the things they love? Ladies and Gentlemen, I present to you… the zero-sum game. The idea is simple: workout to offset the terrible things you love. T he key is to find a workout routine that excites you and finding a time that works best with your schedule. Some of us have more energy in the morning, while others prefer to hit the gym after work. The internet is filled with hundreds of workout plans that fit your lifestyle; all you have to do is search. Find something that combines free weights and cardio, and start hitting the gym. The hardest part is pushing through the excuses of being tired, or too busy, etc. It helps to find a buddy who will push you through your workout, but if you commit yourself to working out on a regular basis, you’ll be enjoying those milkshakes in no time. And if anyone is looking for a workout partner, or someone to yell at them throughout a workout, give me a call. Imagine the perfect boss. He or she is probably supportive of your professional and personal life. He or she is probably an expert at what they do. He or she is probably not overly-confident nor indecisive. He or she probably isn’t afraid to admit mistakes or ask for help. He or she is probably always looking for ways to improve through feedback or through continued education. How are we doing? Painting the perfect picture? We hope so! This edition of Thrive in Five is about promoting yourself. 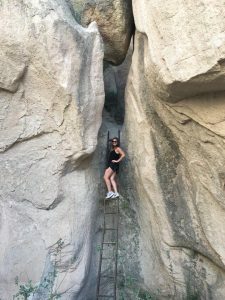 Essentially, we’re defining what makes the perfect boss, so you can then become the perfect candidate for moving up the ladder, or moving in the direction you desire (because not all growth is vertical). However, to us, these tips and articles were missing the “human-centered” element and felt a little self-centered. “What do you mean? You’re supposed to be self-centered when promoting yourself!” Well… at Evans, we don’t think so, so we came up with our own top tips to promoting yourself “The Evans Way.” We approach the situation in a little different light, because we feel to become a leader, you have to be the type of person you want to follow. Use your talents and skills selflessly. As some of us at Evans say, “Work yourself out of a job.” Do what you do well with the final goal being to help others, not yourself. It will come back around… we promise. Develop those with an interest in doing what you do. Be a mentor to someone who is eager to learn. By investing in the future of our workforce, you’re investing in yourself. Openly share your knowledge by teaching. The best way to gain credibility in what you do is to teach others! Write blogs, teach a class, be a keynote speaker. Share what you know with the intent to teach, and others will come to see you as a leader in your field. Be confident but stay humble. There’s a balance to being confident in your skills and being a know-it-all. Accept that while you might know a lot, you never know everything. And it’s 100% OK to admit when you don’t know! Take ownership but give credit where credit is due. If you did a great job, don’t by any means downplay your hard work. However, definitely give props to those who supported the success. Notice that we didn’t say “your success” – hardly anyone accomplishes anything single-handedly. Grow continually. Ask questions. Attend seminars. Read books. Do research. Never stop seeking to gain more knowledge. The more you know (and share! ), the more others will see leadership in you. Ask for feedback more than you give it. We almost put this as part of the previous bullet, but we thought it deserved its own spotlight. Asking for feedback is one of the most important things you can do to become a leader. Being imperfect is to be human, but admitting imperfection and seeking improvement suggestions from others is part of being a great leader. Do our self-promotion tips resonate with you? Do you want to know how you’re doing? Well… we’ve created a simple self-assessment to tell you! Answer as honestly as possible, and try not to pick the answer you think is “correct” to get the best results. After you finish, view your score, and come back here to figure out how you did! 0-15 points: Maybe you’re great at putting a good word in for yourself, or doing what’s expected of you, but try to put a little more emphasis on how you can promote yourself by helping others. We bet you’ll notice a difference in how others support you if you take the initiative to support them first! 15-25 points: You’re off to a great start! It looks like you have a good foundation in considering others when you act. To continue to build on this, pick one or two of the questions you did not receive points for, and focus on improving in these areas. 25-35 points: You’re killing it at promoting yourself “The Evans Way”! Keep up the great work! Do you want to see how you answered compared to others? Click the “View Previous Results” link on the screen displayed right after you submit your answers. Emily literally climbing a ladder as a metaphor for figuratively climbing the corporate ladder! “Promoting yourself” seems to me like an elusive concept that every professional is inundated with since one’s very first adult job interview. Yet as often as I have heard the phrase, I’ve historically been uncomfortable putting these words into practice. Not to say I’m a stranger to hard work and think I’m not worthy of promotion, because even though I give 1000% at everything I agree to take on (even if, like in basketball, I would never be particularly good at it), I am the first to hide from the spotlight, feeling that I totally don’t deserve it. To explain, there is no way I would be able to shine in sports if my teammates weren’t amazing as well. There’s no way I would be recognized for performing well at work if my co-workers and clients weren’t there to show up to fill in my gaps and teach me along the way. There’s no way that the one time I had an intern I could have taught her so well if she wasn’t willing to learn. However, discovering the Evans’ way of promoting oneself has given me a new perspective on this phrase’s meaning and how I have unconsciously taken steps to promote myself and others around me all along. I hope to grow more as a professional in 2019, be more intentional in my actions, and keep promoting not only myself but all of my Evans peers in this new year! Since the moment we could conceptualize what a job was, we’ve probably been ingrained with the “9-5” mentality. Picture this: Alarm goes off. Get ready. Commute. Start Work at 9. (Lunch?) Work until 5. Drive home. Sound familiar? Well… what if we told you there’s a better way to work? In this Thrive, we discover the new productivity model that breaks the 9-5 mold. What if you could determine when to work based on the times of day where you know you’ll be most productive ? There has been a lot of research correlating time of day to aspects that we know affect productivity. One in particular is mood. It’s basically common knowledge that those who are in a good mood are more productive than those in a bad mood. So if we knew, generally speaking, what times of day people are more likely to be in a good mood, it makes sense to work during those times. Daniel Pink, best-selling author, explores timing in his New York Times best seller When: The Scientific Secrets of Perfect Timing. Based on the research he references, the typical 9-5 workday falls within a time of day when peoples’ moods are diminishing. More difficult tasks that require more focus and positive vibes should be completed in the morning, before our mood starts to decline. Important meetings shouldn’t be scheduled in the afternoon when our mood is in its deepest trough. The same goes for important decisions. Easier, more-enjoyable tasks should be completed in the afternoon to help balance out a decreased mood and maintain productivity. The big picture created from big data is great for an overall understanding, but every individual is different. 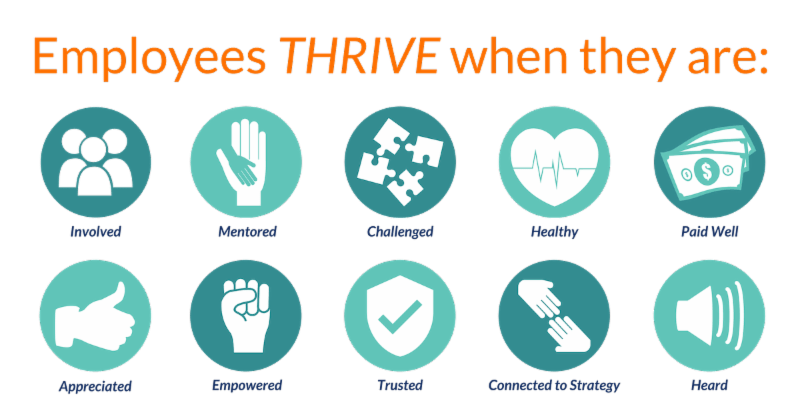 We need to take the time to understand our own peaks and troughs throughout the day, which is what our “Apply the Five” is focused on. 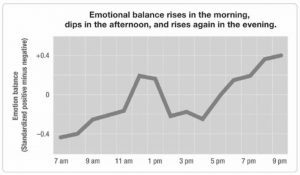 To help with this, we’ve created a tool to help you track your mood throughout the day. Using this tool, you’ll be able to understand your own mood’s trends to help inform when you should do certain tasks and when you can be most productive. Click below to access the tool, and go to File > “Download as” to save your own copy! Tip: There are also some apps if you prefer to have something easy on your phone! 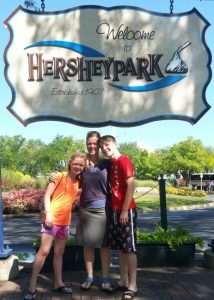 Naffer and kids, Michaela and Cameron at Hershey Park. As a summer camp staff member and administrator, I often said that at camp, a day feels like a week, and a week feels like a day. Each summer was magical in its own way, but camp is a high-energy, jam-packed experience, and a very real time of each camp season was the “Sixth Week Slump.” Throughout his book (see above), Pink refers to peaks, troughs, and recoveries. We didn’t focus on “the slump” every year, but we planned towards it, for it, and how to rebound from it. It was our seasonal “trough.” It was a period when there was heightened camper drama, staff illness, a lower creativity and energy for planning and participating in activities, and a general camp-wide dip in mood. Knowing it was going to happen influenced the way we set up the weekly schedules, special events, and staff programs. 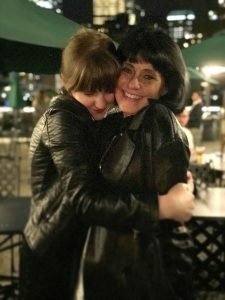 My own kids, who have grown up at camps with and without me, have both felt it, and more profoundly so when they were still young enough to be living with me during the summers. With careful planning, however, we were able to get through the slumps with higher spirits, productivity, and energy than those seasons when we just plowed through. So much of what we do at Evans includes thoughtful considerations of our individual strengths, how we function in groups and as teams, and our company’s DNA as a whole. A thoughtful consideration of time could be another element for us to include. Within each day or over the course of a year, we can all keep those peaks, troughs, and recoveries in mind as we plan.